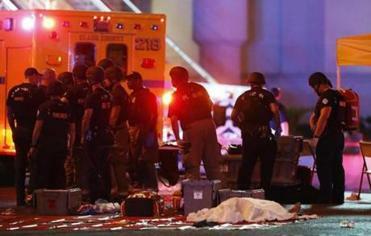 Las Vegas police stood guard along the streets after Sunday’s shooting. The Las Vegas massacre is another in the long and horrific litany of mass shootings in the United States. The shooting underlines some things we should already know: (1) Guns make it easy to kill at a distance, with too little regard for the actual humans who are being affected. (2) The claim that the only way to stop a bad guy with a gun is with a good guy with a gun is nonsense — how could arming the victims have helped in this case? (3) Allowing these shooters easy access to gun suppressors will make the mass shooting worse — the main way potential victims knew anything was happening was because of the noise. Frighteningly, our national gun laws make it easy for almost anyone to obtain almost any firearm they want. The Harvard Injury Control Research Center, which I direct, estimates that over 20 percent of guns recently acquired were obtained without a background check. And background checks in the United States are the least strong among high-income countries. One may be considered too dangerous to fly on a commercial airline but may still be able to pass a background check. In some states one can legally carry a concealed firearm without a permit, and in most states (but not Massachusetts), police are required to give you a permit as long as you pass the background check, even if the chief knows you, and has been called to your home many times for violent behavior. Fortunately, there have been successes in reducing mass killings; the successes show that we need not despair of ever reducing the problem. After the horrific Port Author massacres two decades ago, Australia decided to try to prevent these killings. Led by their conservative prime minister, they effectively said, “Enough is enough.” They bought back the weapons most commonly used in their mass shootings — semiautomatic and pump-action rifles — and they strengthened their gun laws. Whereas they had 13 gun massacres in the two decades leading up to the law change, in the two decades since, they have had none. They have also seen a dramatic drop in both firearm homicide and firearm suicide. In the United States, in the 1930s, in response to the wave of gangland violence that occurred during Prohibition (e.g., the Saint Valentine’s Day massacre), Congress tried to stop the flow of traffic in “gangster weapons”— including machine guns, sawed-off shotguns, and silencers. While there are still may be hundreds of machine guns in the United States, regulation has helped ensure that they are almost never used in crime, let alone mass killings. After the Oklahoma City bombing in 1995 that left 168 people dead, the federal government instituted a series of controls that reduced and tightened access to dangerous chemicals in common consumer products and tightened access to precursor chemicals, explosives, and detonators. Since then, although there have been bombings on America soil, there has been no mass-fatality bombing. The Boston Marathon bombing, for example, succeeded in killing only three people. We have successfully reduced the problem by making it more difficult for potential perpetrators to gain access to the lethal weapons. This did not make the perpetrators less bad, but it made them less dangerous. 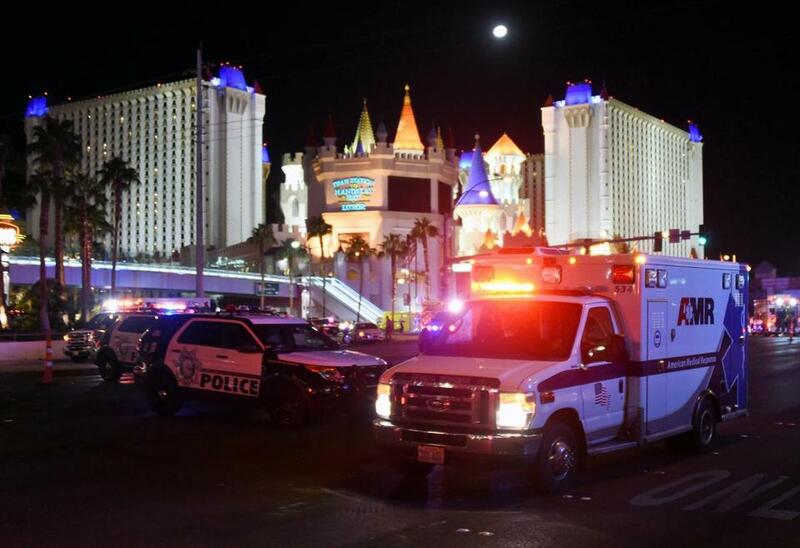 What can readily be done to reduce deaths in mass shootings in America? The experience of the other high-income countries suggests that stronger background checks, combined with background checks for all gun transfers, could help. Reducing the militarization of the civilian stock of firearms (e.g., military assault weapons with high-capacity magazines) couldn’t hurt — some evidence suggests that bans on large-capacity magazines are effective. What might also help is reducing a common way guns get into wrong hands — gun theft — by improving gun storage, or having smart guns that don’t work when stolen. A lesson from almost all public health successes is that it is most effective to change the environment and the product — to improve the conditions for health — rather than trying exclusively to get people to abstain from all bad behavior. The least effective way to prevent the problem is for those in power simply to repeat homilies rather than proposing actions to effectively prevent further occurrences. David Hemenway is professor of health policy at the Harvard T.H. Chan School of Public Health.